THE HAGUE – The Philippine government and leftist rebels have agreed in principle on an interim ceasefire to boost ongoing peace talks aimed at ending one of the world’s longest insurgencies, a joint statement said. The temporary truce would take effect after the two sides iron out the guidelines and ground rules, they said without giving a timetable. "This is another step closer to our dream. There are still many steps that we have to work on but this is a very important step," Philippine President Rodrigo Duterte’s peace adviser Jesus Dureza said. "This will go a long way in building trust and confidence and generating the atmosphere for the accelerated advance of negotiations," rebel leader Jose Maria Sison told a joint news conference on Wednesday in the western Dutch town of Noordwijk aan Zee. The insurgency in the poverty-stricken Asian country began in 1968 and is one of the longest running in the world. It has claimed an estimated 30,000 lives, according to the military. 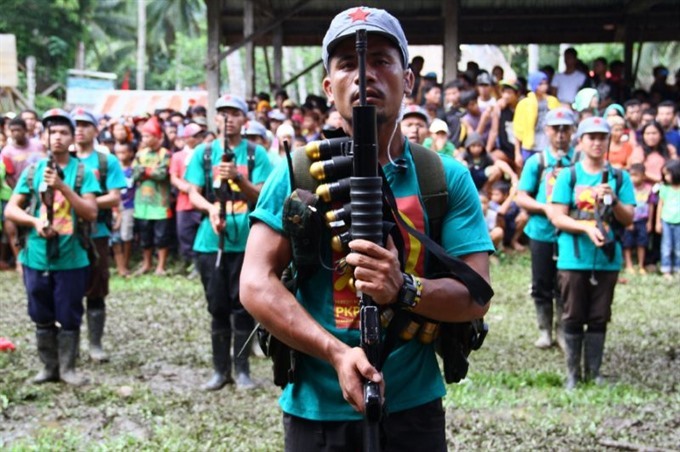 About 4,000 New People’s Army guerrillas continue to attack isolated military and police outposts and extort money from businesses to finance their armed campaign, the military said. Peace talks have been on and off for 30 years, seeing a revival after the election of Duterte last year. Duterte, a self-described socialist, has made a peace deal with the rebels a top priority. The government has billed a permanent ceasefire as its primary goal, with Duterte imposing conditions including that the rebels stop extortion and arson activities. The interim agreement followed what negotiators described as a "difficult" round of discussions, with the insurgents insisting they exercised "maximum flexibility" in response to the president’s conditions. The interim ceasefire agreement directs negotiators to craft guidelines regarding "the presence of armed groups in local communities, creation of buffer zones, prohibited, hostile and provocative acts including the collection of revolutionary taxes". Dureza told the news conference these discussions were already underway. The guerrillas are represented at the talks by Dutch-based exiled leaders including Sison, founder of the Communist Party of the Philippines. Also on Wednesday, the two sides announced they would release prisoners as another confidence-building measure.